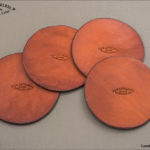 We make our Loveless Leather Coasters from the same heavy 9-10 ounce cowhide shoulder leather that we make our sheaths from. Each 3 1/2 inch coaster is hand cut and then hand stamped with the iconic Loveless Football Logo. Then each coaster is dipped in our own blend of waterproofing & preserving oil and the edges are waxed and buffed. They come in a set of 4 coasters and they work incredibly well. 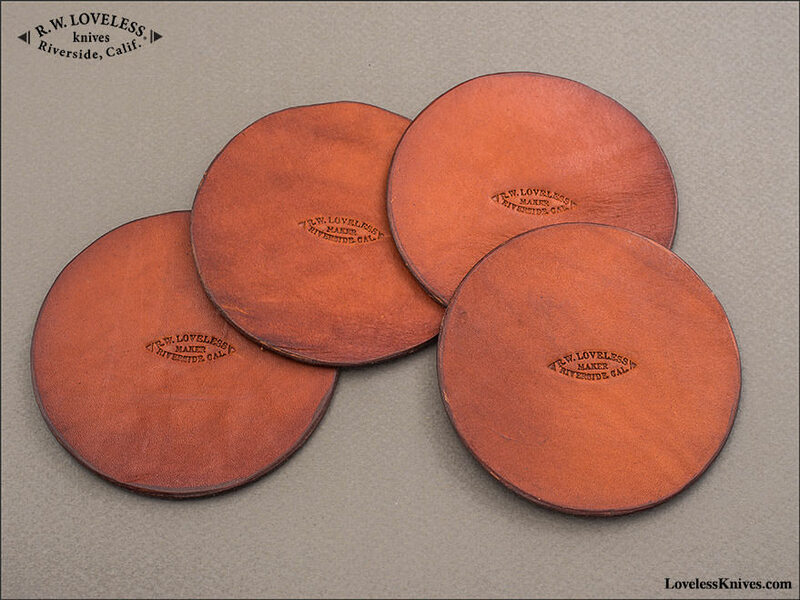 Price is $40.00 for each set of 4 Loveless Coasters.